Hello all, and merry Friday! I’m going to admit right off that bat that I was nervous about posting today. I broke the bejeezers out of my pointer nail playing football this last weekend. Oops. Consequently, it’s a LOT shorter than its friends, which also got filed down quite a ways. I’m rather self-conscious about the length of my nails, so I worried about posting and showing off my shorty nail for you today. But, at this rate, it’s paint and post, or don’t post at all, and I would feel terrible about that! So I devised a plan to distract you from Shorty with some nail art! I’ve never tried the Ruffian trend before, so I thought it would be a good time to experiment. I think the Ruffian thing, where you later one color over the other, leaving a sliver showing at the base of your nail, has been around for at least a year now. 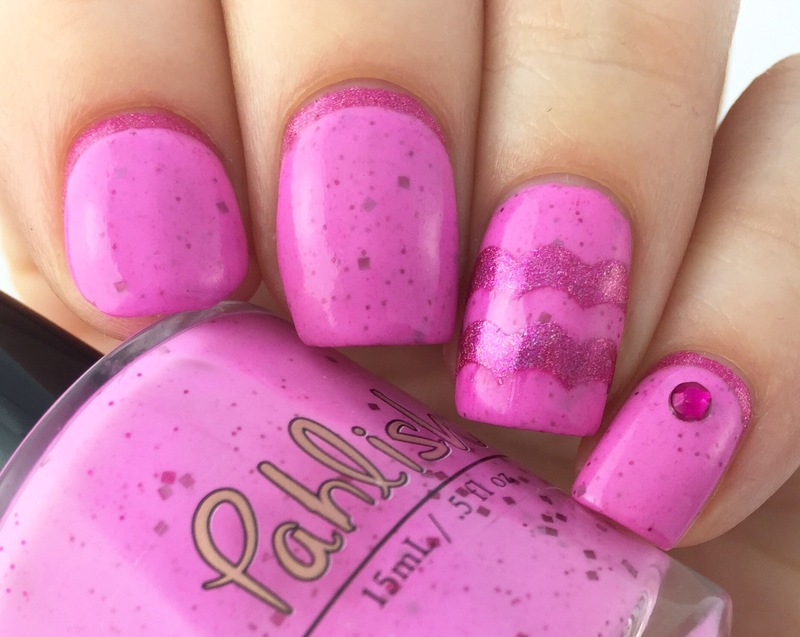 I decided to start easy (and distracting) with the brightest pinks in my collection, Pahlish “Sugar Venom” (reviewed here) and Different Dimension “Saphir Rose” (reviewed here). I went with a subtle theme, yeah? For fun, I did an accent nail using Vibrant Vinyls’ scalloped vinyls. Great color! I haven’t done a ruffian in a long time. I can’t believe this is my first. I kinda winged it and was worried if mess up the line. Good thing I’ve got the whole other hand for practicing! You paired together 2 great polishes for this look. 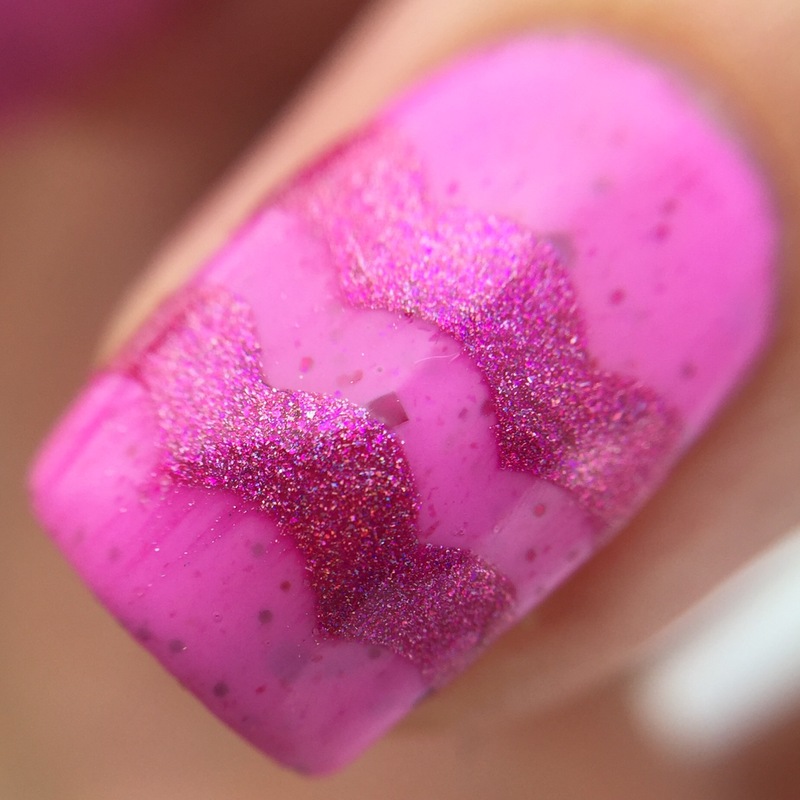 This pink is gorgeous! Love what you did with it. I love ruffians! I have such trouble with them though!